As I mentioned in my 2016 post, last year I didn’t do very well at concentrating on my hopes rather than drifting into making-myself-feel-slightly-guilty resolution territory. Feeling bad because of a date on the calendar isn’t something I really want to do deliberately! At the same time the turning of the year is still the main benchmark of time passing, along with birthdays and anniversaries I guess (and my birthday is pretty much at the end of the year so all gets bundled together anyway!) so I still like to mark it. I’ve seen lots of people choosing a word to sum up the upcoming year for them. I think this started with this email course, which I confess I haven’t done. ‘Make’ just kind of came about organically. 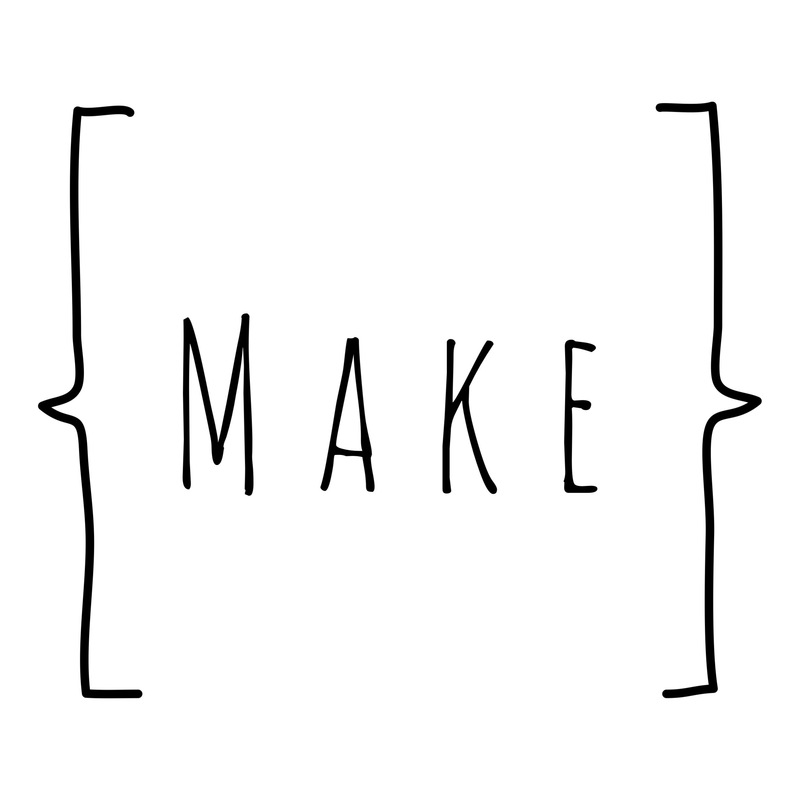 I started off trying to write about my hopes again and the post just wasn’t working, although I realised that every one of my hopes revolved around making, so much so I was trying to find synonyms so I wasn’t overusing ‘make’. This seemed to be a good indication it is something I should focus on this year. I want to make by crafting more – if I’m making something (anything) I’ll be happy. I’ve already kicked this off by starting to use up various craft kits I’ve never used. I’m not worrying about what I’ll do with the finished item, just enjoying the process and making some space in the cupboards too. I’m also looking forward to starting to do some basic crafts with Felicity – she’s just starting to enjoy scribbling and I’m looking forward to some crafty fun with her this year. It’s also about making the most of time this year. I find that my ‘free time’ is limited – on a good evening we get around an hour and a half after Felicity is in bed to relax. Often we have chores or life admin to be doing, and on the bad nights she wakes regularly and I’m up and down stairs all evening. It’s too easy to sit and mess about on the internet rather than actually making the most of my time – by crafting, reading or putting a little thought into really enjoying our downtime (otherwise known as hygge). It’s also making time to do fun stuff with Felicity and engaging with her properly. I’m aware that sometimes my phone is too much of a distraction, I don’t want this to be the case. I’m not going into a smartphones are evil rant as they’re not. Having busy whatsapp groups constantly chattering is a wonderful way of feeling connected with the people I like best. But I probably don’t need to check Facebook twice an hour (especially as I don’t often post) to get that connection. Not frittering, not being super productive, just making the most of my time. Another element to ‘making’ is that 2017 is the year where we’ve got to get a lot done on the house and make it into even more of a home. We need a new kitchen, which is going to be a huge project and will be one of the first (and definitely the most expensive) way of putting a permanent stamp on our house. I’m hoping to continue getting pictures on the walls, as we still have things propped up on the dining room floor – two years in is getting silly – and generally just nesting. I’m really looking forward to seeing if using a single word like this is going to be something I enjoy thinking about over the year too. We’ll see how it’s gone this time next year! This entry was posted in Be, Make and tagged craft, house, Hygge, New Year. Bookmark the permalink.